CEDAR FALLS — After returning home from military service, some men and women find themselves in need of healing — not just physically or emotionally, but also spiritually. Various Christian-based ministries have been established in recent years to address the spiritual needs of veterans. 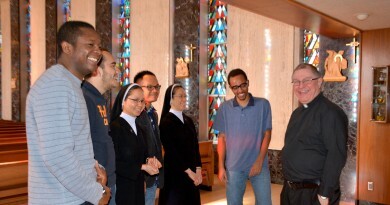 One of these — the “Coming Home” program from Mayslake Ministries out of Downers Grove, Illinois — will offer a two-part retreat in the Archdiocese of Dubuque on Aug. 25-27 and Sept. 22-24. The retreat is sponsored by the American Martyrs Retreat House (AMRH) and will be held at the retreat center’s Cedar Falls location. The weekends will be offered at no cost to veterans and their spouses or significant others, who are also encouraged to attend. 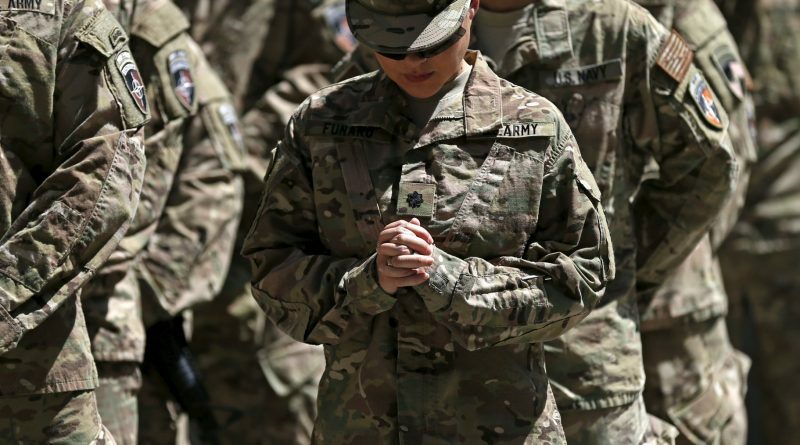 Mayslake Ministries’ veterans’ retreats are “designed to help military men and women come to spiritual healing and reconciliation with God, themselves and with one another” in a “safe environment, in the company of other military,” according to the ministry organization’s website. Though Christian-based, the retreats are open to people of all faiths. The facilitators for the retreat at AMRH will be Sister Linda McClenahan, OP, a veteran who served as a communications sergeant in Vietnam and is today a Dominican sister and licensed professional counselor and therapist working with veterans impacted by trauma, and August Sisco, a retired major of the U.S. Marine Corps, who is a Vietnam combat veteran and the assistant director of Mayslake ministry to veterans. Sisco said he doesn’t consider post-traumatic stress disorder (PTSD) a disorder, but rather a normal reaction to a traumatic incident or series of incidents. 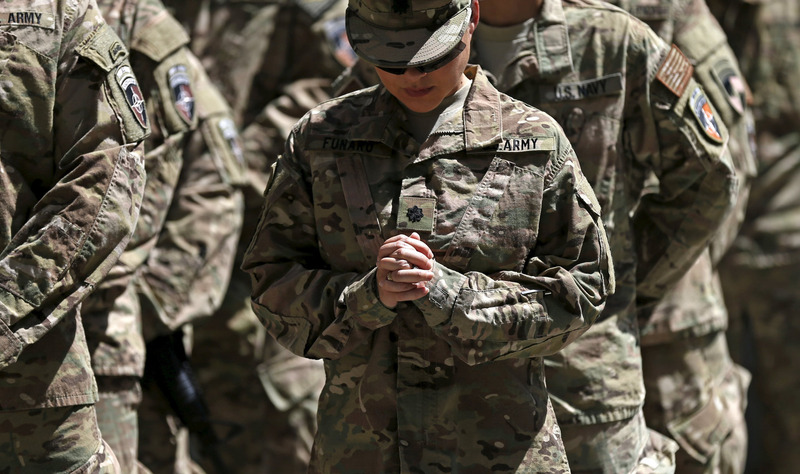 He said spiritual healing is an important dimension when dealing with PTSD, but one that is not addressed with standard group therapy and other treatments offered through the U.S. Veterans Administration. 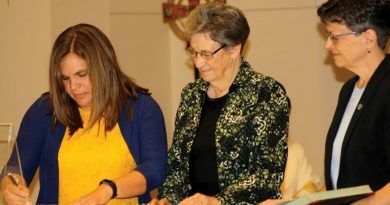 Mayslake veterans’ ministry, however, uses Bible stories and the Psalms to explore some of the feelings that might be experienced after trauma, such as guilt, shame or anger, to help participants find peace. One of the reasons the retreats are so effective, Sisco said, is that veterans often find it easier to open up and to share with other veterans. Father Mark Murphy, pastor of the five parishes of the Holy Rosary Cluster in the communities of Elma, Alta Vista, Lourdes, New Haven and Riceville, agrees. Father Murphy served in the U.S. Navy for five years as a submarine officer prior to his ordination as a priest for the Archdiocese of Dubuque. Though not personally familiar with Mayslake Ministries, Father Murphy said he sees the value of ministry to men and women who have served in the military. This is the fourth year American Martyrs Retreat House is sponsoring this veterans themed retreat. Deacon Al Weber, who organizes the retreats, said in the past, the weekends have drawn veterans of all ages, from women and men in their 20s to their 80s, who served in Vietnam to the more recent conflicts in Iraq and Afghanistan. 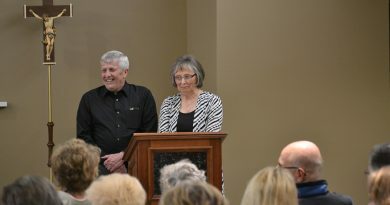 Deacon Weber said he has witnessed through the years how the retreats are able to help many of the veterans who attend. The next year at the retreat, Deacon Al said he asked Sister Linda about the man; “she told me that he and his wife were back together again, things weren’t perfect, but they were getting better,” he said. But he encourages veterans who might be in need of healing to consider a veterans’ retreat. Any veterans interested in participating in the retreat at AMRH can register at www.mayslakeministries.org or by calling 630-852-9000.